Proverbs 13:20 tells us: “Walk with the wise and become wise, for a companion of fools suffers harm.” King Solomon is admonishing us that we should bond with people who will encourage us to have better behaviors and make wise decisions. 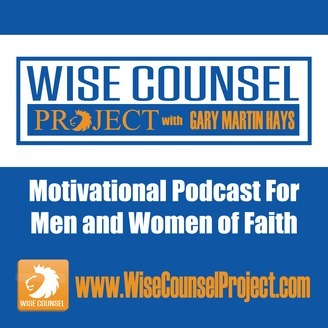 Our mission with The Wise Counsel Project is to help men and women of faith to make better decisions in their daily lives, to help strengthen their relationship with Jesus Christ, and to support the family. How do we do this? 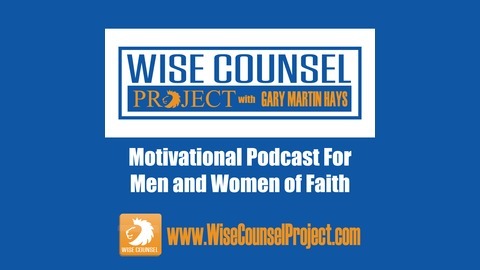 By interviewing key leaders in business, sports, family counseling and the church and seeking their wise counsel. We have some amazingly insightful interviews coming your way so please continue to check back for the latest additions to our video and audio podcasts. Examples of the kinds of topics that will be discussed, include, but are not limited to: •	Being better parents, spouses, sons and daughters •	Improving relationships •	Strengthening leadership roles •	Creating better physical & emotional health and many other topics Host of the show, Gary Martin Hays, has been providing wise legal counsel to his 33k clients since 1993 and now is bringing great insight to you by connecting with these great leaders. We hope you enjoy.